This work presents the results of the study of airborne bacteria in a kindergarten in Gliwice, Upper Silesia, Poland. 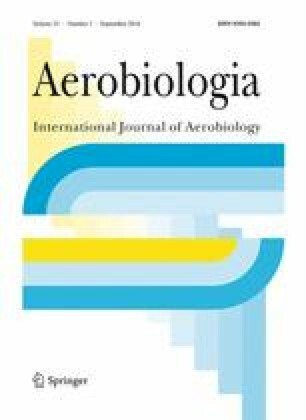 In this study, the samples of bioaerosols were collected using six-stage Andersen cascade impactor (with aerodynamic cutoff diameters 7.0, 4.7, 3.3, 2.1, 1.1, and 0.65 μm). The level of culturable bacterial aerosols indoors was about 3000 CFU m−3—six to eight times higher than outdoors. In the classrooms, respirable bacterial particles, <4.7 µm, contributed up to 85 % of the total number of culturable bacteria, increasing the possible adverse health effects due to their inhalation. The identification of the bacterial species showing the dominance of gram-positive cocci in the indoor environment and non-sporing gram-positive rods in the outdoor air indicates that most of the bacteria present in the studied kindergarten are human origin. Using the obtained data, the nursery school exposure dose (NSED) of bioaerosols was estimated for the children and personnel of this kindergarten (nursery school). The highest value of NSED was obtained for younger children (930 CFU kg−1) compared to older children (about 600 CFU kg−1) and to the kindergarten staff (about 300 CFU kg−1). This result suggests the elevated risk of adverse health effects in younger children exposed to the bioaerosols in the kindergarten, including infections. The authors would like to thank the support of the principals and staff of the nursery school that participated in the study. The cooperation with Professor Ewa Talik from the Institute of Physics, University of Silesia in Katowice, Poland, in preparation of the micrographs of the samples of bacteria is appreciated. The authors are grateful to Dr. Konrad Kaczmarek from the Institute of Mathematics, Silesian University of Technology, for helping in the statistical calculations. The research leading to these results has received funding from the Polish-Norwegian Research Programme operated by the National Centre for Research and Development under the Norwegian Financial Mechanism 2009–2014 in the frame of Project Contract No Pol Nor/210247/20/2013.